With automation around the corner, hard and technical skills may be outsourced to machines soon. However, resources, projects, and companies always need management, which is why a career in Project Management is an excellent choice. Furthermore, project management is applicable in any industry, any size or type of private organization, and even in governmental roles. Project managers are responsible for overseeing every aspect of a project from staffing and scheduling, labor and resource management, deadline adherence, and ultimate goal accomplishment. While there are currently no Bureau of Labor Statistics (BLS) reports on Project Management, the BLS has announced that it will begin reporting on the field in 2018. This implies the industry is growing rapidly and is still unsaturated (i.e. there will be a talent gap in the near future). Furthermore, the Project Management Institute reports that Project Management-oriented occupations earn 82% more than non-Project Management-oriented occupations. A typical curriculum provides an in-depth coverage of the role of project management in an organization while emphasizing applications of communication, decision making, operations management, and the basics of finance and accounting. At the end of the day, a project manager needs to be a “jack of all trades” when it comes to business concepts, which means being able to account for costs and revenues, mediate interpersonal conflicts among team members, and manage both the tactics and strategy of a project. Whether you’re looking for flexibility in skill or industry, a degree in Project Management greatly improves your career opportunities, and a post-secondary degree can be earned in a relatively short amount of time compared to other concentrations. For your convenience, we have selected the 10 fastest project management degrees on the basis of affordability and average time to completion. 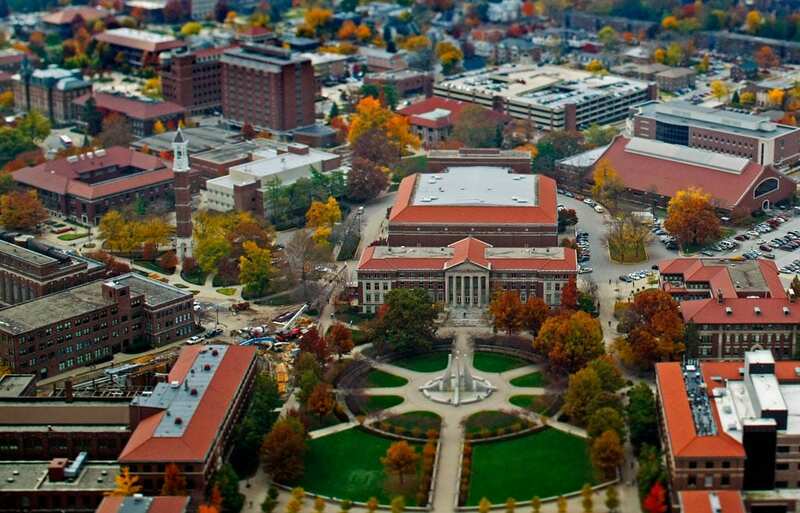 Purdue University (PU), established in 1869, is a public, research university and the second-largest institution of higher education in Indiana. Purdue was founded to provide educational excellence in science, technology, and agriculture and continues to excel in this respect. Moreover, PU excels in modern collegiate fields like sports–they are part of the Big 10 conference. The school can be found on a colonial-style, tree-lined 2,600-acre campus in West Lafayette, Indiana–about 65 miles northwest of the state capital of Indianapolis and 103 miles southeast of Chicago. Although West Lafayette only has a population of about 46,000, it is the most densely populated city in Indiana, so it has a warm college town feel with plenty of activity to keep you occupied. The university also maintains a little over 15,000 acres for agricultural and industrial research. Accredited by the Higher Learning Commission (HLC)–the accreditation arm of the North Central Association of Colleges and Schools (NCACS)–PU currently ranks #56 National Universities and #74 Best Value Schools by U.S. News Best Colleges Report. Purdue University matriculates about 30,000 undergraduate and 11,700 graduate students, promises a student-faculty ratio of 12:1, and 38% of classes cater to less than 20 students. 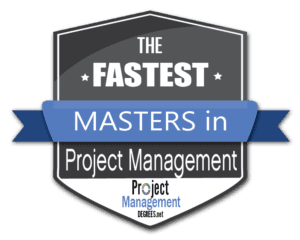 Purdue University’s MS in IT Project Management Online (MSITPM) is ranked #4 Best Value Online Project Management Graduate Program and it is the only project management-specific degree to rank within the top 25 online graduate IT programs. Of course, Purdue’s ITPM will prepare you to pass the Project Management Professional (PMP) Certification exam and has an expected completion time of as little as 10 to 11 months. The 34-credit-hour program includes coursework like: Requirements management processes; Project estimating, scheduling & control; Organizational & project change management; Program & portfolio management; IT economics & procurement management; IT policy, law & ethics. The program offers affordability because of a $775 credit-hour cost, 42% of full-time undergraduates receive some kind of need-based financial aid, and the average need-based scholarship or grant award is $13,407. Brandeis University (BU), established in 1948, is a private, coed, non-sectarian university sponsored by the Jewish community–in fact, the school is named after Louis Brandeis, the first Jewish Justice of the Supreme Court. The establishment occupies a suburban 235-acre campus in Waltham, Massachusetts–just 9 miles west of Boston, which means you have access to a massive metropolitan hub and the refuge of a cozy college town. The campus includes many lush open spaces among mid-century brick buildings, a few modern and stunning buildings, and even a historical castle that is available as a dormitory to sophomores. Accredited by the Commission on Institutions of Higher Education (CIHE)–the accreditation arm of the New England Association of Schools and Colleges (NEASC)–BU is currently ranked #34 National Universities and #27 Best Value Schools by U.S. News Best Colleges Report. Brandeis University matriculates roughly 3,600 undergraduate and about half as many graduate students, offers a student-faculty ratio of 10:1, and 62% of classes cater to less than 20 students. Brandeis University’s MS in Project and Program Management (MSPPM) is a 100% online program designed for working professionals and consistent with PMI’s Project Management Body of Knowledge (PMBOK®), all with an expected completion time of only 1 year. The 30-credit-hour program requires 7 core courses and 3 elective courses where core coursework includes: Foundations of Project Management; Professional Communications; Project Scheduling and Control; Risk Management in Projects and Programs; Negotiating and Conflict Resolution; Program Management: Theory and Practice; The Human Side of Project Leadership. After this, students can choose 3 from over 7 elective courses. The program promises affordability because of a $1,133 credit-hour cost, 50% of full-time undergraduates receive some kind of need-based financial aid, and the average need-based scholarship or grant award is $39,162. The University of Southern California (USC), established in 1880, is a private research university and the oldest research university in California. USC is a major economic contributor to the Los Angeles economy, so, in return, students have access to phenomenal career opportunities, but the university has always encouraged entrepreneurship as well–notably, USC maintains strong international connections in the Pacific Rim. The establishment occupies an urban 300-acre campus in Los Angeles, California–need we say more? The campus embodies everything Southern California and Hollywood has to offer from palm trees to bright green open spaces and even a full-sized film studio lot. 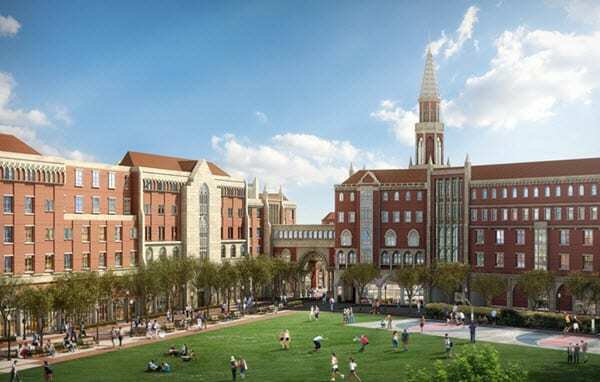 Accredited by the WASC Senior College and University Commission (WSCUC)–the Western regional accrediting organization for post-secondary institutions–USC is currently ranked #21 National Universities and #40 Best Value Schools by U.S. News Best Colleges Report. University of Southern California registers roughly 19,000 undergraduate and 26,500 graduate students, provides a student-faculty ratio of 8:1, and 59.4% of classes cater to fewer than 20 students. University of Southern California’s MS in Project Management (MSPM) is a comprehensive exploration of the field of project management and leadership that emphasizes extremely relevant concepts like global context, ethical and principled leadership, and social responsibility. Amazingly, the program has an estimated completion time of 1 year. The 24-credit-hour program requires 12 core courses where students are required to take a set-in-stone sequence of courses including: Principles of Project Management; Requirements Elicitation and Business Analysis; Schedule Management; Cost Estimation and Forecasting; Risk Management; Agile Project Management Methodologies; Quality and Process Improvement; Specialized Project Management; Organizational Change Management and Business Relationships; Program Management; Portfolio Management; and a Project Management Capstone. The program provides affordability with a $1,710 credit-hour cost, 36% of full-time undergraduates receive some kind of need-based financial aid, and the average need-based scholarship or grant award is $36,533. 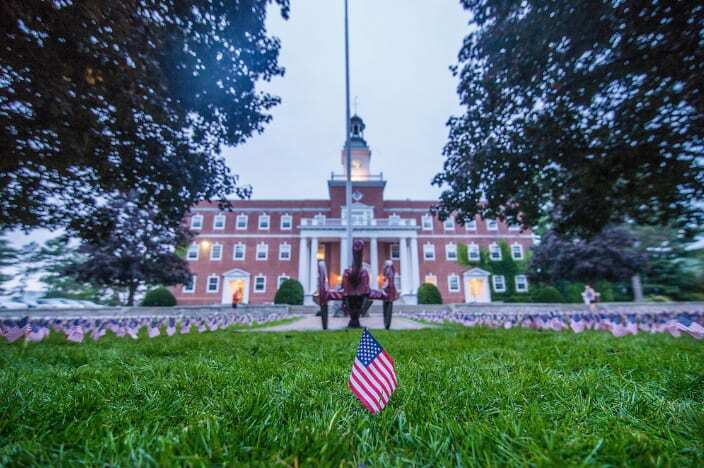 New England College (NEC), established in 1946, is a private, coed, nonprofit university that was established to serve veterans but has since expanded its offerings to a diverse set of students. Although, the college maintains a full-fledged physical campus, NEC is now most known for its online educational programs, NEC Online (NECO). Indeed, this ranking concerns the online program. The establishment occupies a rural 225-acre campus in small town of Henniker, New Hampshire–approximately 17 miles west of Concord, the state’s capital, and 81 miles northwest of Boston, so your a short drive from big-city entertainment. Accredited by the Commission on Institutions of Higher Education (CIHE)–the accreditation arm of the New England Association of Schools and Colleges (NEASC)–NECO currently ranks #173 Best Online Graduate Education Programs and #107 Best Online Bachelor’s Programs by U.S. News Best Colleges Report. 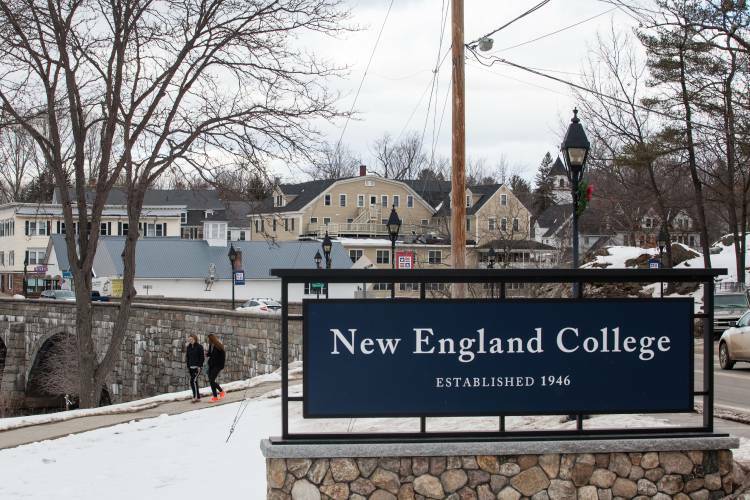 New England College Online enrolls about 1,300 undergraduate and 500 graduate students. New England College Online’s Master of Science in Management: Project Management (MSMPM) is a flexible online degree program designed for working professionals that will prepare graduates to sit for the Project Management Institute (PMI) certification exam. Over 7-week sessions, 2 courses at a time, students will touch broadly on the general business concepts involved in any project–such as accounting, supply chain, and communications–but the program focuses on 9 project management competency areas and has an approximate completion time of only 1 year. The 36-credit-hour program requires 5 core courses and 6 elective courses where the core coursework is required for all of NECO’s MS in Management programs and includes: Organizational Management and Leadership; Research Methods; Strategic Planning and Policy; Professional and Organizational Ethics: A Global Perspective; and a Strategic Capstone. Then, the additional 6 elective courses provide specialized project management knowledge like: Managerial Accounting and Finance for Leadership; Economics for Leadership; Project Management; Supply Chain Management; Quality Analysis for Technology; and Contract Management. The program provides affordability due to a $565 credit-hour cost, 77% of full-time undergraduates receive some kind of need-based financial aid, and the average need-based scholarship or grant award is $16,630. Norwich University (NU), founded in 1819, is a private military academy and known as the Military College of Vermont because it is one of the 6 senior military colleges in the United States recognized by the Department of Defense (and the oldest one at that). NU has historically offered only undergraduate programs but started to implement graduate degrees through distance learning in the 1990s and has excelled ever since. The establishment can be found on a rural 1,200-acre campus in Northfield, Vermont–a tiny town of only 6,200 people nestled in the Green Mountains. Accredited by the Commission on Institutions of Higher Education (CIHE)–the accreditation arm of the New England Association of Schools and Colleges (NEASC)–NU currently ranks #21 Best Value Schools and #86 Regional Universities North by U.S. News Best Colleges Report. Norwich University registers approximately 3,150 undergraduate students, guarantees a student-faculty ratio of 17:1, and 54.9% of classes cater to less than 20 students. Norwich University’s Master of Business Administration in Project Management (MBAPM) obviously sets itself apart simply because it is an MBA, which usually lends greater credibility (but also adds rigor) to your diploma and turns into better career opportunities upon graduation. However, NU goes further by offering Project Management Institute (PMI) accreditation for its PM specialization and requiring a comprehensive, 3-semester-long, independent research project to improve business processes within an organization. The program has an approximate completion time of 14 months. The 36-credit-hour program requires 6 core courses that are worth 6 credit-hours and 11 weeks long. The following 3 courses are required for the base MBA program: Strategic Resource Management; Managerial Finance; and Strategic Marketing & Operations Management. After this, project management specialization requirements are as follows: Project Management Techniques, Tools and Practices; Project Management Leadership, Communications, and Teams; and Strategic Management in Project Management. The program provides affordability thanks to a $792 credit-hour cost, 74% of full-time undergraduates receive some kind of need-based financial aid, and the average need-based scholarship or grant award is $29,367. The University of Louisiana at Lafayette (ULL), started in 1898, is a public, coed, research university that boasts the esteemed Carnegie R2 categorization as a “Doctoral University: Higher Research Activity”. The school sits on an urban 1,200-acre campus in Lafayette, Louisiana–about 150 miles west of New Orleans and the fourth-largest city in the state. Accredited by the Commission on Colleges (COC)–the accreditation arm of the Southern Association of Colleges and Schools (SACS)–ULL is currently ranked #208 High School Counselor Rankings and #231 National Universities by U.S. News Best Colleges Report. University of Louisiana at Lafayette registers about 16,000 undergraduate and 1,500 graduate students, offers a student-faculty ratio of 22:1, and 34.8% of classes cater to fewer than 20 students. University of Louisiana at Lafayette’s MBA in Project Management (MBAPM) is an MBA program so you can expect to be able to work during enrollment–in fact, the 8-week-long courses are considered accelerated–but this program is still surprisingly affordable. Not only is the tuition extremely reasonable, ULL participates in the Open Educational Resources Initiative, so your tuition fee includes all course materials (including books), and the program and has an average completion time of as little as 15 months. The 33-credit-hour curriculum requires 7 core courses and 4 elective courses. There are 4 foundation courses that are not included in the quoted credit-hours (we assume prior business undergraduates will test out of these), and then students must complete core coursework including: Management of Information Technology; Managerial Economics; Policy Formulation, Strategy, and Administration; Advanced Financial Management and Policy; Data Analysis; Marketing Management; and International Business. Finally, students complete specialized PM electives: Analytical Methods for Planning and Control; Organizational Behavior and Leadership; Project Management I; and Project Management II. The program offers affordability because of a $387 credit-hour cost, 61% of full-time undergraduates receive some kind of need-based financial aid, and the average need-based scholarship or grant award is $5,226. Southern New Hampshire University (SNHU), started in 1932, is a private, nonprofit, non-sectarian institution. Although, the college maintains a full-fledged physical campus, SNHU is most known for its online educational programs–in fact, SNHU enrolls over 70,000 students online compared to its roughly 4,000 on-campus students. The school can be found on a suburban 300-acre campus in Manchester, New Hampshire right on the border of Hooksett–a city consistently ranked as affordable, the most populous city in the state, and only a 1-hour drive from Boston, Massachusetts. Accredited by the Commission on Institutions of Higher Education (CIHE)–the accreditation arm of the New England Association of Schools and Colleges (NEASC)–SNHU is currently ranked #1 Most Innovative Schools and #83 Best Value Schools by U.S. News Best Colleges Report. 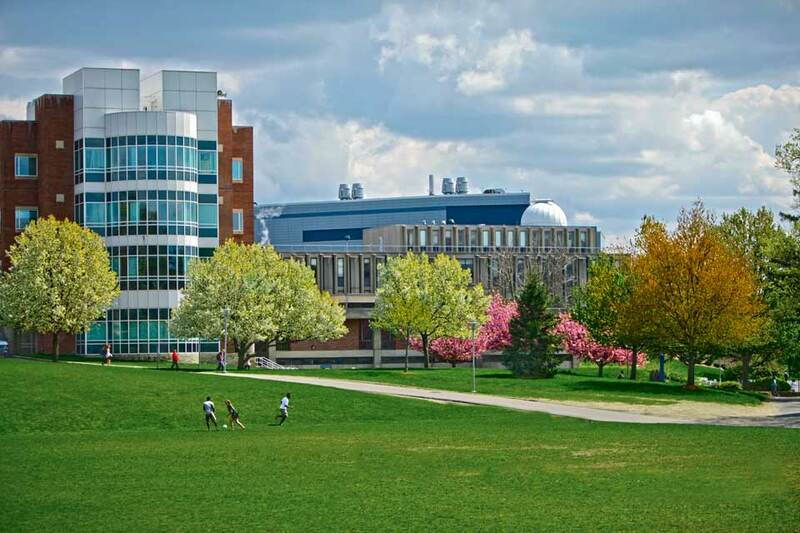 Southern New Hampshire University enrolls approximately 3,000 (on-campus) undergraduate and 1,000 (on-campus) graduate students, promises a student-faculty ratio of 13:1, and 63.9% of classes cater to fewer than 20 students. 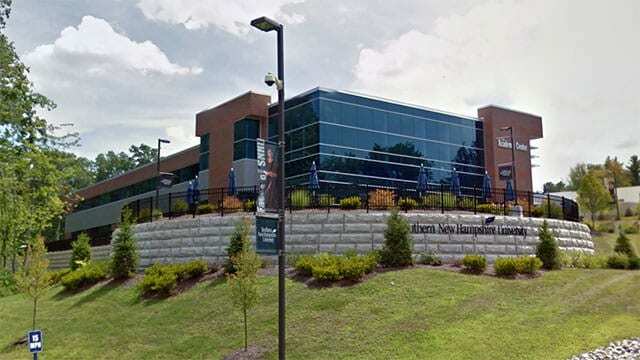 Southern New Hampshire University’s MBA in Project Management (MBAPM) is the school’s MBA version of the Project Management specialization for applicants who already have work experience and an undergraduate proficiency in business. Graduates will receive all the benefits of holding an MBA but at a very affordable rate and in a fraction of the time of most MBAs. Of course, that does not mean you compromise quality because SNHU is a Registered Education Provider of the Project Management Institute (PMI). The program has an average completion time of as little as 15 months, and the 36-credit-hour curriculum requires 9 core courses and 4 elective courses. As usual with an MBA, there are Foundation course requirements prior to acceptance that are not quoted (students can test out of these). Students must take the MBA Capstone after completing the following core courses: Business Environment, Innovations and Entrepreneurship; Accounting and Financial Analysis; Leading in an Organization; Marketing and Strategy; Ethics, Corporate Culture, and Social Responsibility; Finance, Economics, and Decision Making; Government Impact on Business; and Operations Management and Technology. Finally, students complete PM-specialized courses: Project Management; Seminar in Project Management; Quantitative Analysis for Decision Making; and Project Management for PM Certification. The program offers affordability with a $627 credit-hour cost, 71% of full-time undergraduates receive some kind of need-based financial aid, and the average need-based scholarship or grant award is $6,558. Southern New Hampshire University’s Master of Science in Project Management (MSPM) is the school’s MS version of the Project Management specialization for applicants who have little to no work experience or an undergraduate proficiency in business and want a focused Project Management degree. Although this is not SNHU’s MBA version, you still receive the benefit of the school’s qualified faculty and its status as a Registered Education Provider of the Project Management Institute (PMI), all with an average completion time of 15 months. The 36-credit-hour program requires 6 core courses and 6 elective courses. Essentially, this is a highly-focused Operations and Project Management degree so core courses concentrate on PM concepts like: Quantitative Analysis for Decision Making; Operations Management; Project Management; Seminar in Project Management; Topics in Operations Management; and the Operations and Project Management Capstone. After this, students can select 4 elective courses from a wide selection including: Six Sigma Quality Management; Supply Chain Management; Project Management for PM Certification; Internship in Operations/Project Management; and more. The program promises affordability due to a $627 credit-hour cost, 71% of full-time undergraduates receive some kind of need-based financial aid, and the average need-based scholarship or grant award is $6,558. Drexel University (DXU), founded in 1891, is a private, nonprofit, research institution. The establishment sits on an urban 100-acre campus in Philadelphia, Pennsylvania–a city known for its history, entertainment, and cheesesteaks. Accredited by the Middle States Commission on Higher Education (MSCHE)–the Eastern regional accrediting organization for post-secondary institutions–DXU is currently ranked #70 Best Value Schools and #94 National Universities by U.S. News Best Colleges Report. Drexel University matriculates about 13,250 undergraduate and 8,700 graduate students, promises a student-faculty ratio of 10:1, and 57.2% of classes cater to fewer than 20 students. Drexel University’s Master of Science in Project Management (MSPM) is 100% online and designed for working professionals looking to change fields or advance in their own. Of course, Drexel’s program is accredited by the Project Management Institute (PMI) and fulfills the requirements of the Project Management Body of Knowledge (PMBOK©). The program has an average completion time of 15 months and the 30-credit-hour program requires 10 core courses. The programs offers a fixed, core curriculum that includes highly-focused coursework like: Introduction to Project Management; Project Planning & Scheduling; Project Quality Management; Project Estimation & Cost Management; Project Risk Assessment & Management; Managing Multiple Projects; International Project Management; Project Procurement Management; Project Leadership & Teamwork; and Project Management Tools. In the end, students must also complete a comprehensive Capstone Project that illustrates their mastery of the program. The program provides affordability because of a $1,228 credit-hour cost, 57% of full-time undergraduates receive some kind of need-based financial aid, and the average need-based scholarship or grant award is $26,121. Doane University (DU), established in 1872, is a private, coed institution. The establishment can be found on a rural 300-acre campus in Crete, Nebraska. While the town of Crete only has a population of about 6,000, you’re less than a 1-hour drive from Lincoln, which has much more to offer and where DU maintains a secondary campus (Doane also operates campuses in Grand Island and Omaha). Accredited by the Higher Learning Commission (HLC)–the North Central Association of Colleges and School’s (NCACS) higher education accreditation authority–DU currently ranks #144 High School Counselor Rankings and #158 National Liberal Arts Colleges by U.S. News Best Colleges Report. Doane University enrolls about 1,000 undergraduate students, promises a student-faculty ratio of 11:1, and 73.4% of classes cater to fewer than 20 students. Doane University’s MBA in Project Management (MBAPM) is a strong MBA program that teaches students foundational business competencies but also provides an extremely well-crafted emphasis in Project Management. The program is entirely online, which means students can still maintain a career while enrolled, and the program has an expected completion time of 15 months. The 33-credit-hour program requires 11 core courses, and because this is an MBA, students are expected to have a proficiency in business. Courses are 8 weeks in length and terms run 5 times per year. Notably, students can transfer up to 9 credit-hours of prior coursework. The program offers affordability with a $460 credit-hour cost, 76% of full-time undergraduates receive some kind of need-based financial aid, and the average need-based scholarship or grant award is $19,722. Should I get a Project Management Master’s or MBA?What Jobs Can I Get with a Bachelor’s Degree in Project Management?